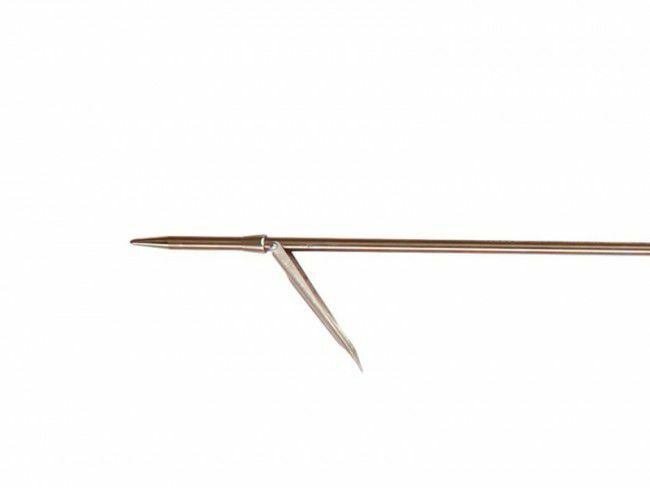 This speargun is created for the most demanding spearfishers. 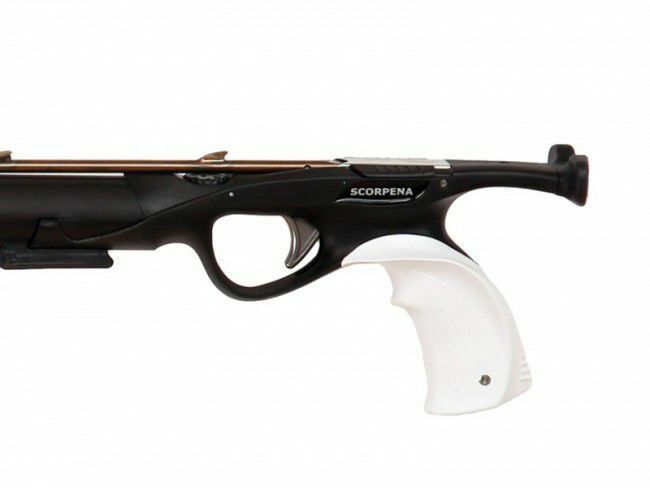 Scorpena D model is equipped with an open muzzle, aluminum barrel with a polyurethane outer casing, which reduces the flow resistance during lateral movements of the guns, forms a guideline for the shaft, making a silent shot, and increases the overall buoyancy of the gun. 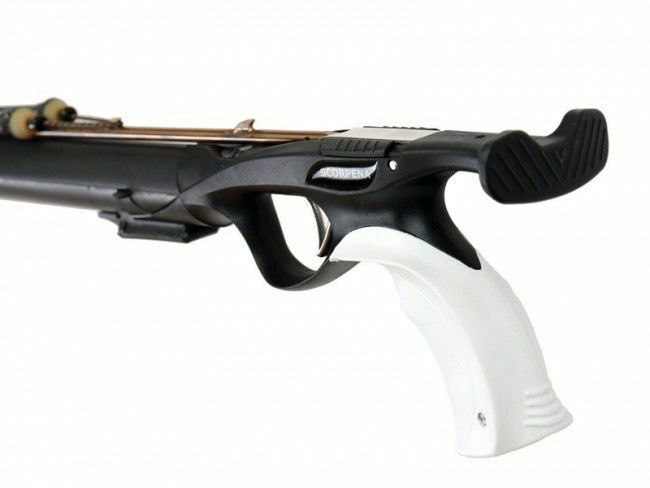 Ergonomic handle with rubber coating migrated from sports gun models. The kit ncludes black line with two clamps and shock absorber. 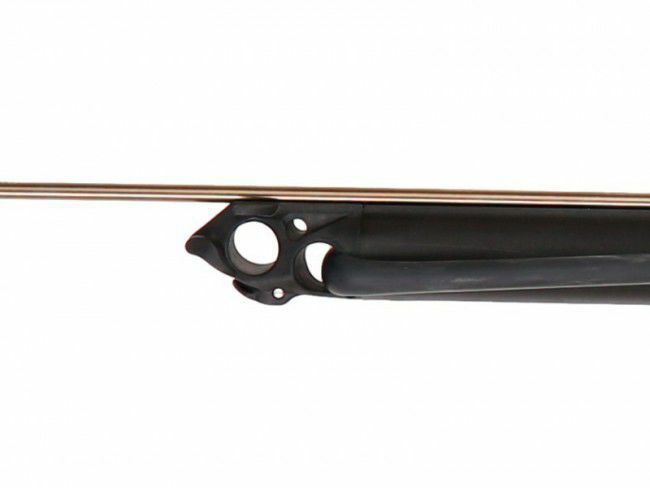 Speargun is equipped with the most modern trigger with multiple safety margin. The reel can be easily mounted on this speargun.